Working with Lauryn was amazing from the very start. At the last minute during a difficult pregnancy Lauryn was able to squeeze me in. She made the whole experience amazing even though it was thrown together on both our sides. Almost a year and my darling daughter later, I got engaged! The first person we told was Lauryn. Seriously, even before my best friend. I knew immediately that she would be perfect for our engagement photos. She made it so easy for Riley considering he’s never had photos taken. Our family and friends love our photos, more importantly we do! I can’t wait to continue sharing our life with Lauryn. Taylor, I feel so lucky that i got to work with you during your maternity shoot. It was such a special session and I am so happy to have your support and friendship. You’re the best! Beautiful photos I will cherish forever! First off, Lauryn and Bob are the BEST!! Definitely book them!! They really came to my rescue. I was having a hard time finding a photographer for my wedding day. There are an overwhelming amount of options for the Portland area and I’m very particular about the photography style I like. I looked at a lot of options, but I just wasn’t finding anyone that stood out to me. After months of indecision, my wedding day was dangerously close and I was still without a photographer. I was so worried I wouldn’t be able to find anybody (because everyone would be booked for that day already) or that I’d find someone but they wouldn’t live up to my expectations and I’d have to compromise my vision, that I started to lose hope. I decided to post on a Facebook wedding page to see if any photographers were still available for that day and I was surprised how many comments I got. Even though dozens of photographers contacted me, it was when I saw Lauren’s web page that I knew I could still have the wedding day I dreamed of! Looking through her gallery, I knew instantly that I wanted her to photograph my wedding! Her photography style is so beautiful and was EXACTLY what I was looking for! I honestly couldn’t believe how great things had worked out! I booked her right away (I’m so happy she was available last minute!) and she graciously agreed to work with my budget. Lauryn was truly a joy to work with. The planning process went seamlessly, she was always super responsive to emails and offered to help in any way she could, and she was so easy to talk to. She has an infectiously happy and bubbly personality and you can tell she is genuinely interested in the people she meets and works with. Also (as is apparent by her portfolio) she really knows her stuff! I knew my wedding day was in good hands and my mind was finally at ease. As expected, Lauryn and Bob were a delight to have around on our wedding day! It’s the best day of your life and A LOT of pictures are going to be taken, so it’s important to have a photographer with a good personality who knows what they’re doing! My husband and I are not usually comfortable in front of a camera, but Lauryn and Bob expertly guided us through the process and helped us feel at ease. The pictures turned out AMAZING and they’re EXACTLY what I hoped for! Not a moment of our wonderful day was missed and now we have beautiful memories to look back on. I’m so grateful for how things worked out and if I ever need pictures taken again, I know who to go to!! Thank you so much for this amazing review. It was such a pleasure working with you and Tim on your wedding day! I'm so grateful for having met you. My husband and I were honored to have Lauryn photograph our wedding and I cannot say enough positive things about her work. She made our big day that much more special by documenting the moments we were too busy to notice and made us very comfortable being in front of the camera. She was even willing to travel to Idaho for our wedding and spent a second day with us for a “trash the dress” session. We cannot thank her enough for the amount of time she spent before, during and after our big day to bring those photos so close to our hearts. She is a wonderful photographer, artist and all around human and we look forward to more photo sessions in the future with her! Thank you for taking the time to write this Mariah! Your wedding was a dream and we feel so fortunate to have been included in it. More then I could wished for! Fun, effortless and beautifu! Lauryn was more then I could expected. She captured out wedding perfectly. Anyone who's had there picture taken professionally knows it can be a little nerve wrecking ... but Lauryn made it fun and effortless, she's someone you want to be friends with. I could not of imagined having anyone else on our special day. We are so happy that we found her!! If you are planning any special occasion, hire her. She's a true professional with a bright spirit and will make you and your event look and feel like a million bucks! Kayla, Thank you so much for your review! We loved being a small part of your wedding day! Getting to know you and your husband was such an absolute joy! Booking Lauryn & Bob for our wedding was one of the best vendor decisions we made. It didnt occur to me that wed be spending nearly every moment of our wedding day with our photographers, but now that I know that, Im so grateful it was them. When little things went wrong, Lauryn distracted me by asking me to pose for fun photos. They worked magic with our large wedding party & family; making jokes as necessary to lighten the mood. Neither my husband nor I feel particularly comfortable in front of a camera, but we felt totally at ease with these two and it showed in the end product. The photos are absolutely stunning. We received them in a timely manner and the hard copies were delivered in such a thoughtful way! 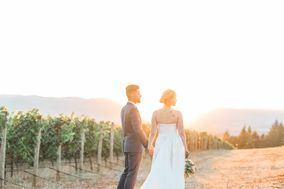 If you need a wedding photographer, book Lauryn Kay Photography  youll be so glad you did! Britt, we loved being involved in your wedding! Thank you so much for taking the time to write this! We can't wait to work with you again in the future! 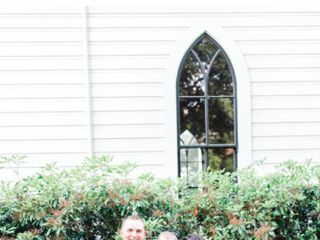 Hiring Lauryn Kay Photography for our wedding was - by far - the best vendor decision my husband and I made! Lauryn is technically brilliant with her camera, lighting exposure, and photo editing, which is wonderful, but even more impressive is her incredible eye and talent for capturing not just an event, but the amazing experience of love and human relationships. The thing that sets her apart is who she is - she brings her whole, lovely self into her work and through her compassion and understanding captures more than just people and settings, she sees beauty and delight and reflects it back to us in her work. My husband and I, who are not particularly comfortable with being in the spotlight, felt so at ease working with Lauryn and her husband, Bob. On our wedding day, Lauryn and Bob demonstrated their professionalism, flexibility, and creativity; not only did they fit right in with our family and friends, they also blended right in - they were totally unobtrusive. The end result was a collection of photographs that are truly unique, touching, and absolutely priceless. Thank you, Lauryn and Bob, for beautifully capturing so many special moments from our big day!!! Without a doubt, these photographs will be treasured for a lifetime. Zoe, thank you so much for taking the time to post this. Bob and I loved working with you and Alex and are so thankful we were included in your special day! Thank you so much for taking the time to write this review. We are so thankful you and Casey chose us to photograph your wedding day! Sending so many hugs! Words cannot express how incredible Lauryn is to work with. She’s direct and tells you exactly what needs to be done (ideal for those of us who are awkward in front of the camera), she’s quick but extremely thorough, professional and prompt, and above all, her photos are amazing! We can’t wait to work with you again!